Bring Her Home by David Bell is a recommended thriller, highly for the right reader. Bill Price's fifteen-year-old daughter, Summer, and her best friend Haley, have been found dumped in a park after they had disappeared days earlier. Haley is declared dead at the scene while Summer is in the hospital with severe life threatening injuries. This is just a year and a half after his wife and her mother died, so Bill is over-the-top distraught. As he talks to detectives at the hospital about Summer, hoping they can find out who did this, he is waiting to see if his daughter regains consciousness. Bill is a man on the edge. This is a well-written novel told in quick, short chapters. The narrative is told from Bill's point-of-view. 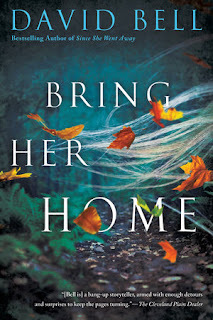 Bell provides several twists in Bring Her Home, but most of them were predictable and I didn't find myself surprised by any of them. Let me just say the plot twists are all ripped-from-the-headlines reveals and not entirely believable. I was still interested in the story, but I had guessed correctly what was going to happen at every turn. There was no suspense here for me. 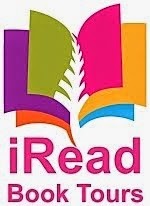 It is entertaining, though, and would make a good vacation read, especially with the short chapters and quick pace. 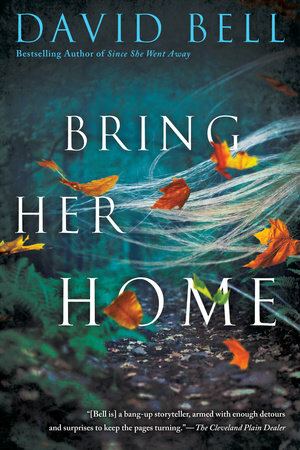 I did finish Bring Her Home and generally liked it. I guess the biggest issue I had with Bring Her Home is the character of Bill. His quick temper was very off-putting because it seems he is angry, very angry, all-the-time. You also know that he wants to hit/punch/blame someone almost all-the-time. It's not only that he comes across as a rather unsympathetic, unlikable fellow (and you want to like a grieving husband and father) it's that the violence is always so close to the surface that I never felt I could trust the man's emotions. He also repeats himself again and again and again. There are also a few other problems that I had that might not bother anyone reading causally for escapism and sheer entertainment.